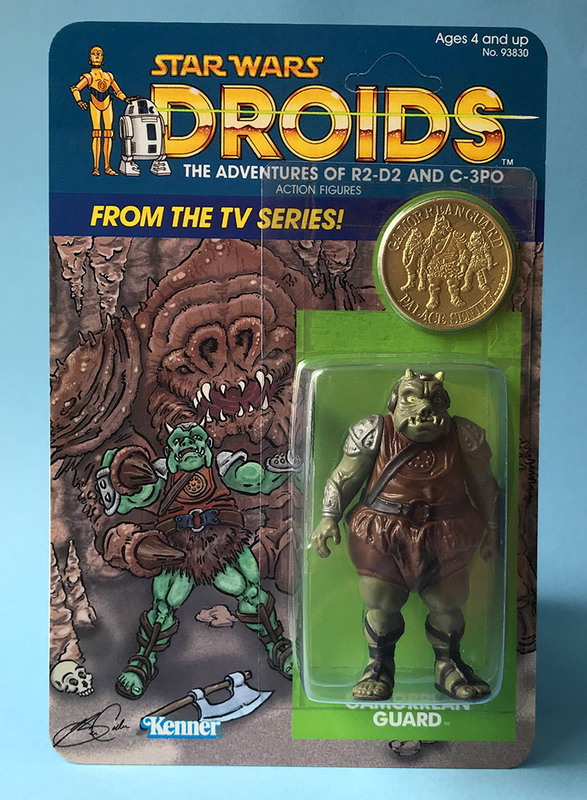 CreatureCantina.com: Droids Custom Gamorrean Guard: SOLD OUT!! 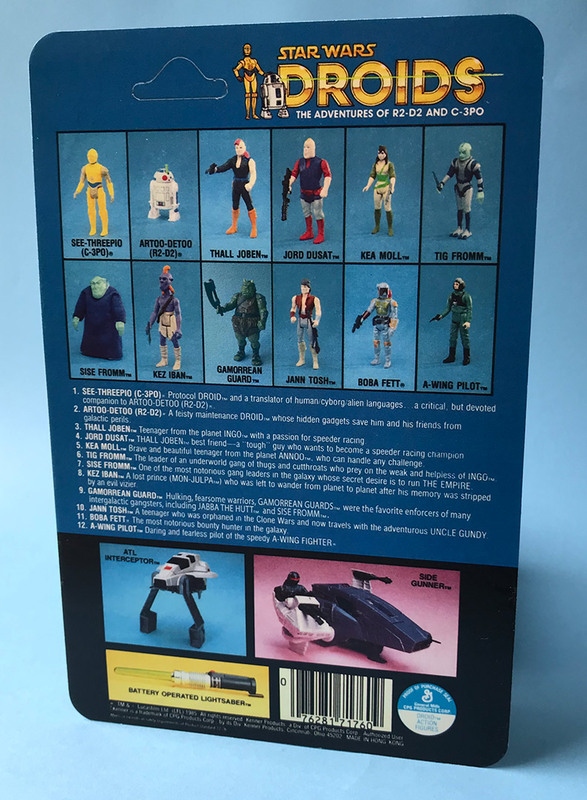 Droids Custom Gamorrean Guard: SOLD OUT!! It's been a year and four months since I put my last Droids Custom up for sale. I would have been done a lot sooner if not for supply issues with my bubbles (totally NOT my supplier's fault). But those were eventually resolved and I was able to begin work on my Gamorrean Guard. The story behind this art is pretty straightforward. I had a golden opportunity to draw a Rancor. So I drew a Rancor. 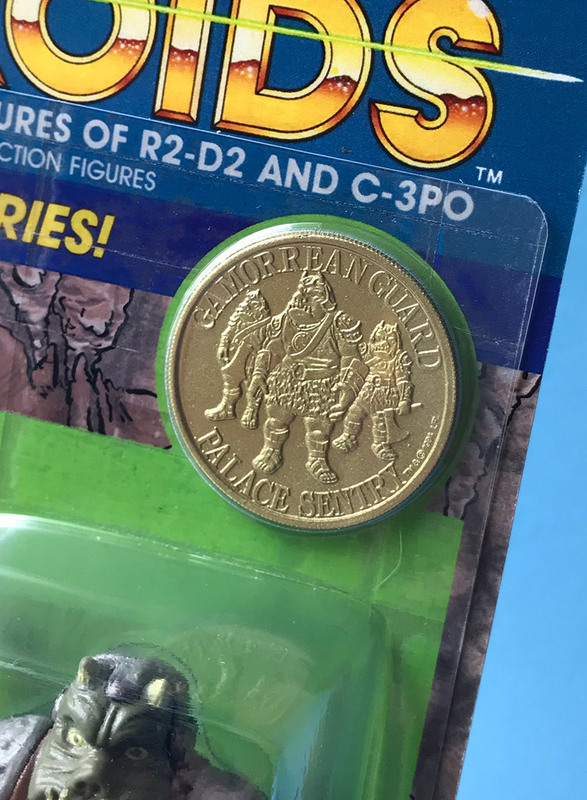 The fact that the most exciting scene on film involving Gamorrean Guards is against the Rancor, it was obvious that was the scene to work with here. 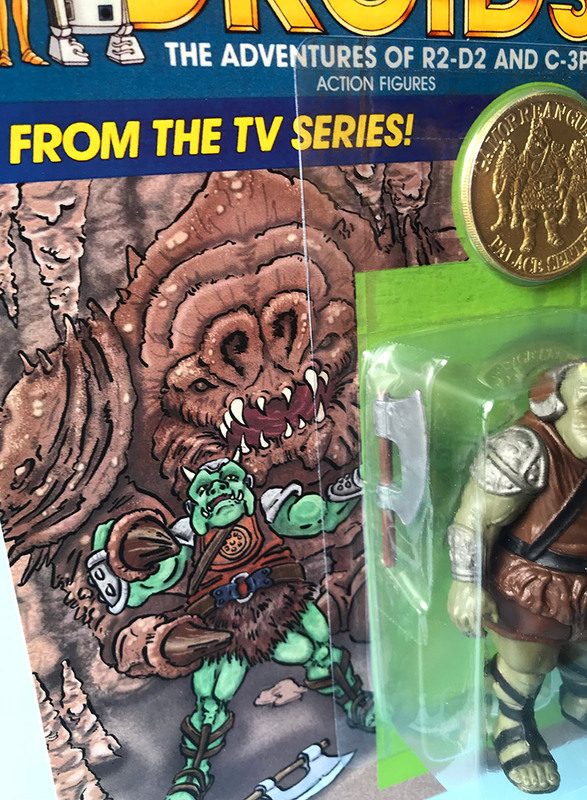 You'll note the figure includes a gold (painted resin) POTF Gamorrean Guard coin. Many thanks to Yehuda for taking a cast of his coin for me! And something which makes this particular custom absolutely unique - my bubble supplier decided, with no suggestion from me, to throw in inner trays to go along with the Gamorrean Guard bubbles. I guess he reasoned these extra-heavy and extra-bulky figures would need that support to prevent any damage. It was a genius move. 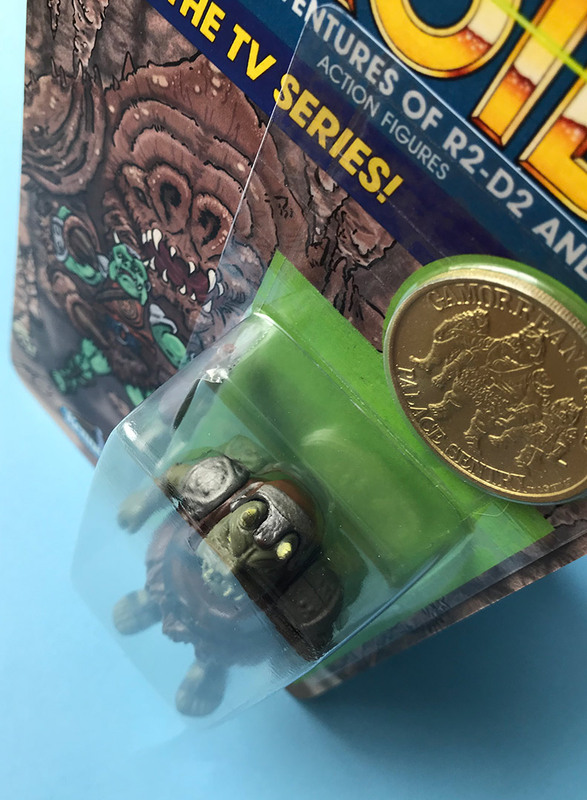 And since he only did them for Gamorrean Guards, this is likely the only Droids Custom I'll ever produced with an inner tray. And they look AMAZING! It's great to be back in the game! I can't wait to figure out what figure will be next.